What is the cost of a crisis? What is the true cost to your business of a crisis? One or two lost customers and a few frowns when you walk into the golf club? Could the cost perhaps be a few thousand pounds off the balance sheet, or even a bigger hole in your accounts? How about the loss of your entire business? If you do not think it can happen, perhaps you should ask the family behind the company Taylor & Sons Ltd.
Taylor & Sons was the 134-year-old engineering company which was destroyed in days by a simple typo made by Companies House. Managing Director Philip Davison-Sebry told how he was on holiday celebrating his wife’s 50th birthday in the Maldives when he took a furious call from a contact at Corus steel demanding a meeting the next morning. When he asked why, he was informed that is company was being put into liquidation by the HMRC. Back home, the situation had exploded. Full on meltdown ensued. The problem, it is now known, came from an error at Companies House which listed the business on its register as being wound up. 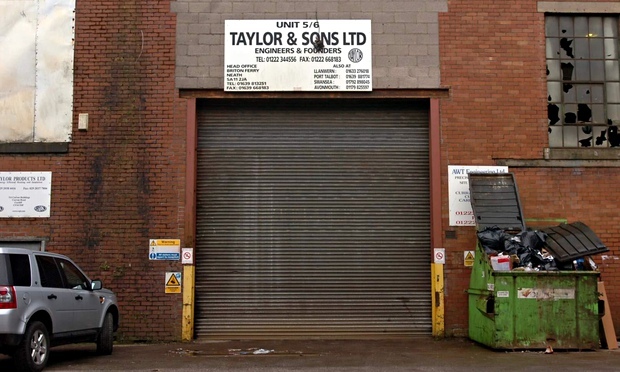 Taylor & Sons was mistaken for another company in another part of the UK. That company was called Taylor and Son Ltd. It was reported that the mistake was rectified in a matter of days. But the information had already been passed onto credit reference agencies and spread across the internet. The tide could not be turned back and the admin error became self-fulfilling. Taylor & Sons, which employed 250 people and had a projected turnover of £40m at the time, went out of business. This story is an extreme case of a crisis. We do not know if the company had a crisis communications plan in place and this Insights article is not about picking over the finite detail of what was a truly awful situation. No one could have foreseen the error made by the Companies House officials – its uniqueness and sweeping effect are the elements which saw the story catapulted into the national media. Although extreme, it does serve as a key example of having in place a crisis plan. While not crisis brought on by the media, it was one which could have utilised a crisis strategy to communicate with key stakeholders. Internal Communications – for staff fearful of their futures – and B2B communications (to target suppliers, vendors, contacts and so on) would have been key areas to concentrate on. One other element of this could have been to utilise external media for positive effect in order to get the message to the wider public and onto the internet. This should be considered on a case by case basis. In a situation such as this one, it could have served the company to tell the story to the media shortly after the situation became clear. It proved to be a story of interest several years down the line. A published story or even news broadcast could have set the record straight and added credibility. The drafting of a crisis plan may take several days and require your attention when frankly, you may feel you have better things to concentrate on. You may require hire-in external expertise. But once in place, a good, well thought-out plan can be activated within minutes. Your directors (including the MD and FD) will know what they should be doing and when they should be doing it, your front line staff will know what to expect. The plan will include numbers for your PR representatives and, if needed, the legal team. Being ready in the Golden Hour is all important, even if you aren’t issuing external communications in that time. The plan will include various routes of communication to cover off all bases, both external, B2B and internal. It may require an investment to hire in professionals to co-ordinate the plan and be on stand-by to activate it. And this point takes us back to the original question of the true cost of a crisis. The bottom line is that preparing for a crisis, even if we are to consider it in monetary terms, will not cost you your business. Being caught out by a crisis could.